Ludovic Radosavljevic comes on for Castres. Rory Kockott leaves the field. Castres decide to make a substitution, with Thibault Lassalle getting some game time. Castres decide to make a substitution, with Steve Mafi being replaced. Castres make a substitution with Marc-Antoine Rallier coming on. Castres make a substitution with Jody Jenneker coming off. The touch judges raise their flags as Rory Kockott kicks the penalty goal. Castres sub Anthony Jelonch comes onto the field. Yannick Caballero departs for Castres. Clermont Auvergne have a penalty and Greig Laidlaw is having a shot at goal but he misses the target with that attempt. Marc Clerc comes on for Castres. Wilfrid Hounkpatin leaves the field. Greig Laidlaw adds the points for Clermont Auvergne. Clermont Auvergne decide to make a substitution, with Apisai Naqalevu getting some game time. Clermont Auvergne decide to make a substitution, with Rémi Lamerat being replaced. Clermont Auvergne make a substitution with Flip van der Merwe coming on. Clermont Auvergne make a substitution with Paul Jedrasiak coming off. Clermont Auvergne sub Etienne Falgoux comes onto the field. Loni Uhila departs for Clermont Auvergne. Charlie Cassang leaves the field. Tim Nanai-Williams fails to add the extras. Remy Grosso scores a try for Clermont Auvergne. Tim Nanai-Williams misses the conversion. Peceli Yato scores a try for Clermont Auvergne. Martin Laveau scores a try for Castres. Benjamin Urdapilleta steps up to take the penalty goal but doesn't make it. Patricio Fernandez has kicked a penalty goal. Armand Batlle scores a try for Castres. Penalty goal attempt from Benjamin Urdapilleta has the distance but not the direction. 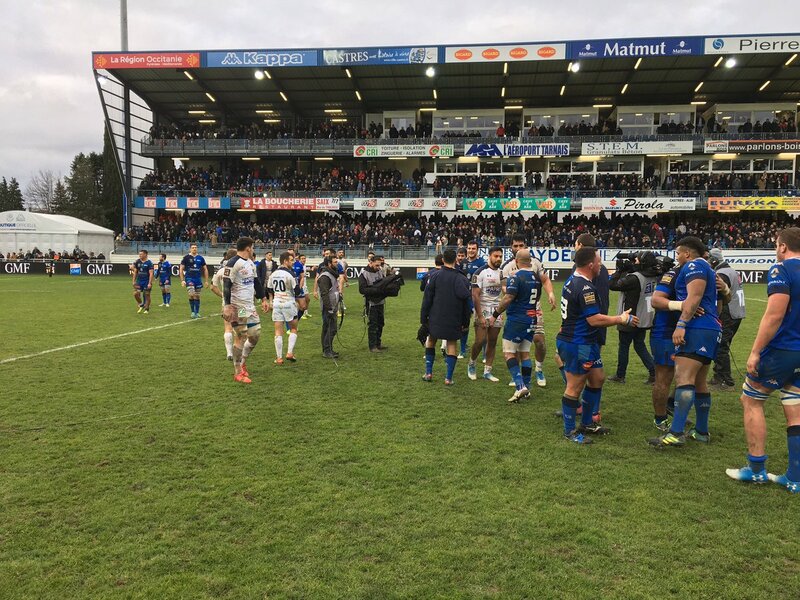 Le @CastresRugby enchaine face au leader clermontois ! #COASM Les Castrais taillés pour l’hiver…s'imposent face aux Clermontois sur leur pelouse de Pierre Fabre. C'EST FINI ! 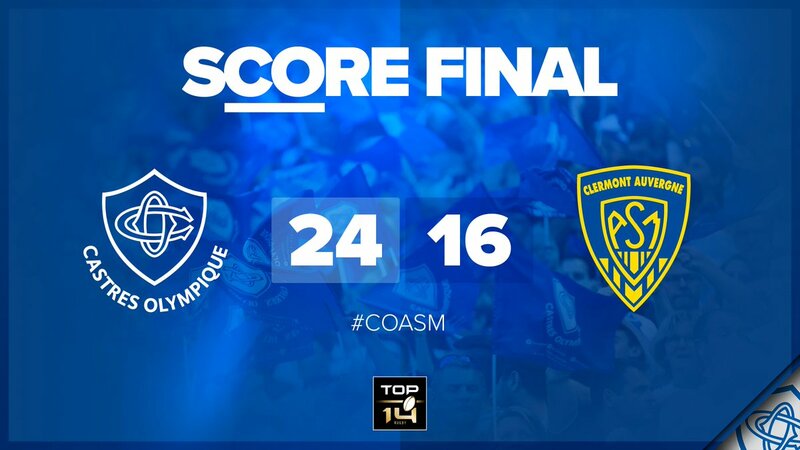 Victoire de nos joueurs face à l'@ASMOfficiel ! 73' Sortie de Steve Mafi, remplacé par Thibault Lassalle au poste de seconde ligne ! Sortie de Yanick Caballero remplacé par Anthony Jelonch ! 53' 40 mètres en face, ça passe pour notre n°10 Benjamin Urdapilleta ! 46' Interception sur une passe en bout de ligne, course de 45 mètres et essai de l'ailier clermontois Rémy Grosso. #COASM à la pause le @CastresRugby mène sur sa pelouse sur le score de 15-8 . 40' Après une sortie de ruck au pied par Cassang, monsieur Garcès renvoie tout le monde au vestiaire ! 38' l'essai est accordé mais non transformé par Nanai. 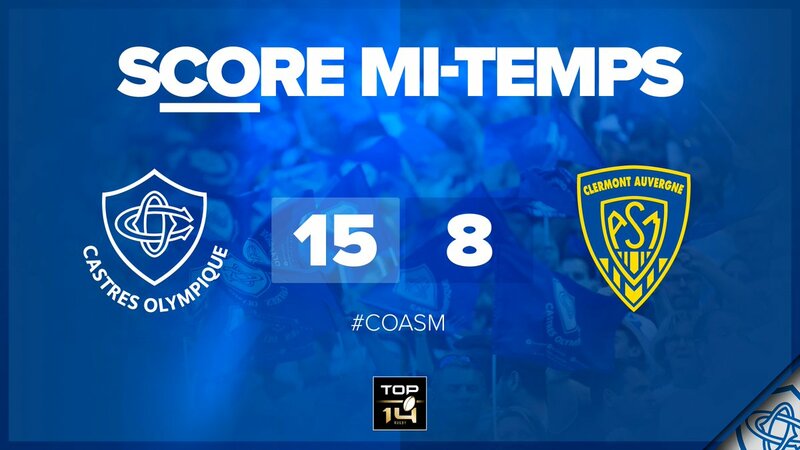 #COASM Essai pour le Co par l ailier Laveau à la 31ème minute la transformation est manquée 15-3. 28' Renvoi aux 22 parti directement en touche... Mêlée sur la ligne des 22m pour le CO !